What is Fund Control on a construction loan and do I need it? 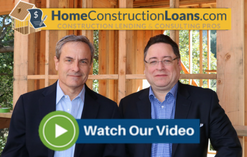 A home construction loan can provide financing for projects ranging from the tiniest remodel, to the largest renovation, all the way up to a complete home demolition or a ground up custom home on a vacant lot. For many homeowners their project can be defined as a non-structural or cosmetic renovation, where they are simply changing such items as: flooring, lighting, plumbing fixtures, kitchen counters or cabinets. Simple projects like these normally don’t require a building permit or rise to a complexity of needing to hire a general contractor to bid and oversee the entire project. However, before making a determination on whether you need a general contractor, be sure to read “Should I Hire a General Contractor to Build My Home”. Such smaller projects are often financed with a Home Equity Loan or Line of Credit, sometimes referred to as HELOC. While certainly more expedient for smaller projects these HELOCs rarely require nor will they provide a very valuable tool that can save homeowners a great deal of emotional pain, wasted time, and financial loss known as Fund Control. Fund Control is an established process of checks and balances designed and maintained by the lender or their designated vendor to ensure that your project’s financing is properly managed and allocated. With a Home Equity loan or Line of Credit the homeowner is normally provided a checkbook and simply writes checks as bills for the project come due. As the funds are spent the mortgage balance rises. It is completely up to the homeowner to exercise the discipline to manage and allocate the funding properly. 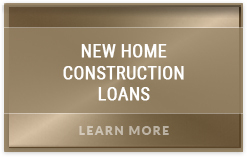 A construction loan works in a similar way, but with added steps and important controls. When a construction project can take 12, 18 or even 24 months to complete and may involve several hundred thousand or even millions of dollars it is critical that the project’s progress from both a structural and financial standpoint are tightly managed. 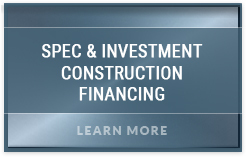 There are three primary advantages to using Fund Control; to make sure the funds budgeted are allocated and applied properly to the individual categories for which they were contracted, that each bill is paid in exact proportion to the work completed as verified by site inspection to ensure both the material and labor suppliers finish 100% of their work; and finally to make sure all verified bills are paid in a timely fashion so that property title or mechanic’s liens are avoided. Fund Control is basically an escrow company that processes project-related invoices and lien releases, coordinates project site inspections, provides progress reporting to all parties, and arranges for construction fund disbursements by wire or check. The average project includes a total of 10-15 draws, averaging one every 3-4 weeks. A good example is as follows; the general contractor has arranged for a subcontractor to frame the home and has received the framer’s invoice for 50% of the total cost of framing because this component is now half complete. 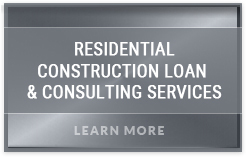 The builder and/or homeowner submit a draw request to the lender along with a progress lien release. The lien release states once the billing party receives the funding they waive their right to place a mechanic’s lien against the property’s title. This will be a conditional lien release if the given component was not 100% complete or a final release when the builder has completed the entire project. Once the Fund Control administrator has received the draw request they will schedule an inspection to verify the builder has completed the percentage of work associated with the billing. If only 80% of the plumbing work has been completed, but the subcontractor and builder are billing for 100% of the budgeted amount, the administrator will reduce the amount funded to equal the percentage completed. 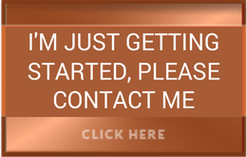 While this may seem at first to be somewhat frustrating, it will nonetheless ensure that 100% of the work is completed before monies are paid. This ‘safe-guard’ protects you the ‘borrower’ from losing funds as well as making sure all work is complete. Should they had been paid in full and even 10% of the work was left incomplete the next subcontractor may be delayed in starting their component. For example, if an electrician has failed to make all the necessary wiring connections, the city building inspector can’t sign off on his work and as a result the drywall installer can’t begin his work. One of the major secondary benefits of Fund Control is that it means subcontractors are highly motivated to finishes that last 10% so that they can be paid in full, which keep the project moving in a timely manner. Fund Control is a critical set of safeguards on which every homeowner embarking on home construction should insist. Whether you are undertaking a minor remodel on your own or are employing experienced professionals for a large scale project, your financial future and protecting the clear title to your home can never be given too much attention.